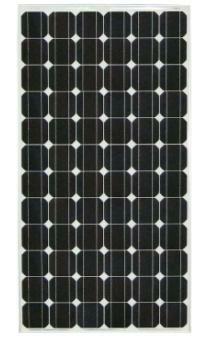 72 monocrystalline cells series connected peak power 170 W at STC. High quality and reliablity, assembled with advanced encapsulation materials to meet safety and reliablity standard. Durable,weathering proof lamination with encapsulation materials and professional solar glass. Manufactured in ISO 9001 certified factory best option for grid connected applications compliant with IEC 61215 and IEC 61730 safty class 2 standards.